Home / OTHER SPORTS / Atlanta United Wins M.L.S. Cup. Now Comes the Hard Part. Atlanta United players celebrating the team’s first M.L.S. Cup, in only its second season, after defeating the Portland Timbers on Saturday night. In the two years since its soccer party kicked off for real, Atlanta United has led a dreamlike existence. In a region few predicted would embrace the sport, it has at last produced, in vibrant fashion, the scenes American soccer fans have long envisioned: games being played in a gleaming new home; tens of thousands of fans standing and singing for 90 minutes; and flags and jerseys dotting not only the stands on match days but also the city’s sidewalks, parks and lawns on the ones in between them. Squarely established as the league’s standard-bearer in nearly every aspect off the field since it was announced as an expansion team in 2014 and began playing in 2017, Atlanta United has carefully built an infrastructure that it hopes will be able to sustain high standards for years to come. And on Saturday night, the team capped a brilliant sophomore season with tangible confirmation of its supremacy, beating the Portland Timbers, 2-0, in the M.L.S. Cup final in front of a league-record 73,019 fans at Mercedes-Benz Stadium for Atlanta’s first title. The final followed the script United has used all along. Atlanta put the Timbers on their heels early, and the breakthrough came in the 39th minute when Josef Martínez of Venezuela, the league’s most valuable player, pounced on a loose ball at the edge of the Portland penalty area and coolly slotted it past Timbers goalkeeper Jeff Attinella. The insurance goal was set up by Atlanta’s potent South American attacking combination when Martínez flicked a free kick from the Paraguayan star Miguel Almirón toward the back post, where defender Franco Escobar was waiting to hammer it home. But despite the jubilation on Saturday — the blissful scenes in the stands as entire sections of the crowd bounced with joy in the waning minutes, and the new trophy now in Atlanta’s possession — a dose of reality will be waiting on Sunday morning. Martino is departing. Almirón, who finished second in the M.V.P. voting, is expected to leave for Europe in the off-season. Martínez might be right behind him. 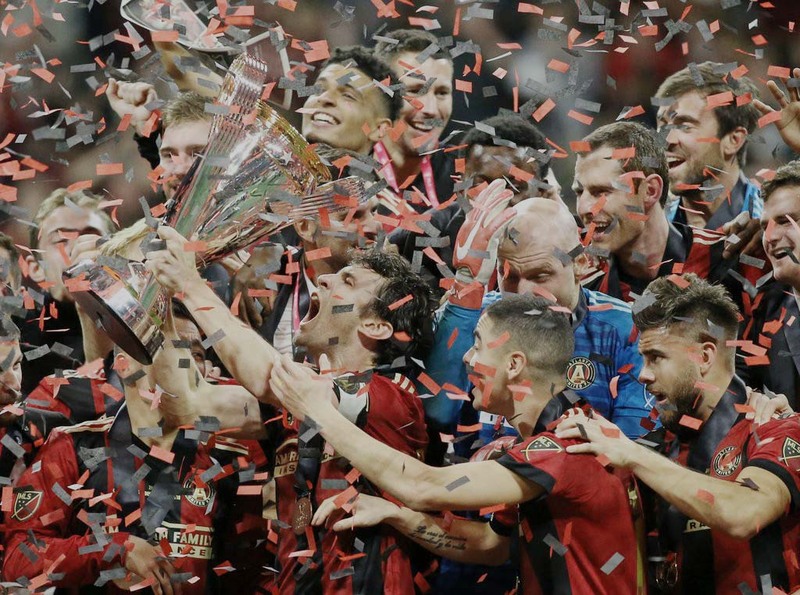 And there will be precious little time to shake off the winner’s confetti or the loser’s title-game hangover: As a reward for its success this season, Atlanta United will begin to play in the Concacaf Champions League on Feb. 20, after the briefest of off-seasons and just a four-week training camp. A shrinking off-season is hardly an American phenomenon; around the world, players and coaches are often on the move even before the season’s final whistle is blown. But Major League Soccer’s quirky roster rules and its March-to-December schedule, not to mention the looming January international transfer window, will bring reality to Atlanta United with stunning speed. The first blast of cold water will arrive almost immediately: By noon on Sunday, Atlanta United must make decisions about whether to keep or release a handful of players whose contracts are expiring. It is a brutal and sometimes bizarre turnaround, one that the longtime league executive Garth Lagerwey experienced several times after his multiple championship game appearances with Real Salt Lake and Seattle, where he is currently the general manager. “I traded a guy once while a confetti cannon was literally going off in our stadium,” Lagerwey said. Even more difficult decisions will be up next. First, Atlanta United must replace Martino, the league’s coach of the year, who in his brief tenure provided an instant measure of legitimacy — and credibility — for the club. His résumé included stints leading Barcelona and the Argentine men’s national team. Whoever replaces Martino will have only weeks to settle in before the Champions League kicks off. In Martino’s departure, announced before the end of the regular season, Atlanta United also will lose a major recruiting piece. Almirón and Martínez both cited Martino, known as Tata, as a primary reason they joined the club, sight unseen, before its first-ever game. But now Almirón could be on the way out; the 24-year-old, who had 12 goals and 14 assists this year, is reportedly headed to Europe — the Atlanta crowd seemed to acknowledge as much with an extra-loud ovation when he left the game in the 91st minute. Martínez, who set the M.L.S. single-season scoring record with 31 goals, could depart for the right offer, too. That is not to say this was not all by design. Darren Eales, Atlanta United’s president, said the team fully expected Martino to depart after two years. And the team has already reportedly found a replacement for Almirón: Gonzalo Martinez of Argentina’s River Plate, who is expected to join this off-season. Also waiting in the wings is Ezequiel Barco, the 18-year-old who was signed in January for a league-record transfer fee. For Atlanta, and M.L.S., it is not just about filling roster holes, however. Identifying and developing young players with the intention of selling them has been at the core of Atlanta United’s business model from the start. 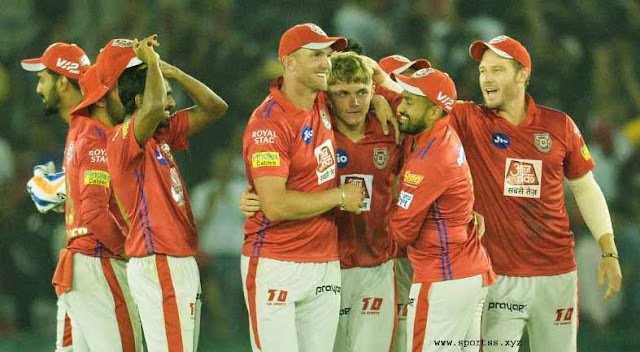 It is a process the league acknowledges needs to happen more often for the league to grow. Already this year, M.L.S. has seen the departures of promising young players like Vancouver’s Alphonso Davies (to Bayern Munich) and Red Bulls midfielder Tyler Adams (to Germany’s RB Leipzig). That doesn’t mean it’s an easy process. But Eales and Garber, and Lagerwey, who has been through it many times, say it is one that must occur for the league to evolve, for the party to continue.